Whether, then, the Phrygians are shown to be the most ancient people by the goats of the fable; or, on the other hand, the Arcadians by the poets, who describe them as older than the moon; or, finally, the Egyptians by those who dream that this land first gave birth to gods and men: yet none of these at least existed before the world. But before the foundation of the world were we, who, because destined to be in Him, pre-existed in the eye of God before,–we the rational creatures of the Word of God, on whose account we date from the beginning; for “in the beginning was the Word.” Well, inasmuch as the Word was from the first, He was and is the divine source of all things; but inasmuch as He has now assumed the name Christ, consecrated of old, and worthy of power, he has been called by me the New Song. From a Facebook Group, which will remain unnamed. It is God who appoints people to eternal life. Acts 13:48 (NASB)—> 48 When the Gentiles heard this, they began rejoicing and glorifying the word of the Lord; and as many as had been appointed to eternal life believed. Chooses who is to be holy and blameless. Calls according to His purpose. 2 Thessalonians 2:13-14 (NASB)—> 13 But we should always give thanks to God for you, brethren beloved by the Lord, because God has chosen you from the beginning for salvation through sanctification by the Spirit and faith in the truth. 14 It was for this He called you through our gospel, that you may gain the glory of our Lord Jesus Christ. Grants the act of believing. 2 Timothy 2:24-26 (NASB)—> 24 The Lord’s bond-servant must not be quarrelsome, but be kind to all, able to teach, patient when wronged, 25 with gentleness correcting those who are in opposition, if perhaps God may grant them repentance leading to the knowledge of the truth, 26 and they may come to their senses and escape from the snare of the devil, having been held captive by him to do his will. Causes us to be born again. John 6:44 (NASB)—> 44 No one can come to Me unless the Father who sent Me draws him; and I will raise him up on the last day. Romans 8:29-30 (NASB)—> 29 For those whom He foreknew, He also predestined to become conformed to the image of His Son, so that He would be the firstborn among many brethren; 30 and these whom He predestined, He also called; and these whom He called, He also justified; and these whom He justified, He also glorified. Makes us born again not by our will but by His will. John 1:12-13 (NASB)—> 12 But as many as received Him, to them He gave the right to become children of God, even to those who believe in His name, 13 who were born, not of blood nor of the will of the flesh nor of the will of man, but of God. Works faith in the believer. In the exercise of His will He brought us forth by the word of truth. James 1:18 (NASB)—> 18 In the exercise of His will He brought us forth by the word of truth, so that we would be a kind of first fruits among His creatures. And made us willing in the day of His power. Psalm 110:3 (NASB)—> Your people will volunteer freely in the day of Your power; In holy array, from the womb of the dawn, Your youth are to You as the dew. Romans 9:15-16 (NASB)—> 15 For He says to Moses, “I will have mercy on whom I have mercy, and I will have compassion on whom I have compassion.” 16 So then it does not depend on the man who wills or the man who runs, but on God who has mercy. Who are we to argue with whom God chooses? Romans 9:19-20 (NASB)—> 19 You will say to me then, “Why does He still find fault? For who resists His will?” 20 On the contrary, who are you, O man, who answers back to God? The thing molded will not say to the molder, “Why did you make me like this,” will it? The Son gives life to whom He wishes. John 5:21 (NASB)—> 21 For just as the Father raises the dead and gives them life, even so the Son also gives life to whom He wishes. And reveals the Father to whom He wills. Matthew 11:27 (NASB)—> 27 All things have been handed over to Me by My Father; and no one knows the Son except the Father; nor does anyone know the Father except the Son, and anyone to whom the Son wills to reveal Him. Michael Faber Nowhere in Acts 13 is God identified as the active agent in verse 48. That is an imposition on the text. Eph 1:4 is corporate election, as seen in “us” and “in him”. Again, imposition on the text. In 2 Thess 2, the “beginning” is the beginning of Paul’s ministry there, after they first believed. Granting an action (such as Phil 1:29) refers to granting the ability to do so. 2 Tim 2:24-26 is granting repentance to saved people who got into some bad doctrine. There is no evidence that “born again” (1 Pet 3, John 3) comes before faith. John 6:44 only speaks of those not able to come. Same with verse 65. Romans 8:29 speaks of being predestined to being “conformed to the image of the son”, not initial salvation, and occurs after initial faith. Same with adoption and inheritance in Eph 1. In John 1:12-13, receive and believe result in the right to become a son of God after which, one is born if God. John 6:27 says that the Jews were to work for the food that endures to eternal life. In verse 28, “works of God” k same phrase as verse 29) referrs to the works God requires. Likewise, in verse 29. “Work of God” is the work God requires, the work Jesus spoke of in verse 27. To say it is God’s work is to make Jesus a liar in verse 27. Psalm 110 says, “volunteer freely.” That stands directly against the OP. Romans 9 is about the word of God to the nation of Israel (vv1-7). Verses 15-16 are about the subgroup “children of promise” from within Israel. Verses 19 and 20 are about the hardened Jews. So, lots of bad exegesis in the OP. The Romans asked Rabbi Yehoshua ben Ḥananya: From where is it derived that the Holy One, Blessed be He, revives the dead, and from where is it derived that He knows what is destined to be? Rabbi Yehoshua ben Ḥananya said to them: Both of those matters are derived from this verse, as it is stated: “And the Lord said to Moses, Behold, you shall lie with your fathers and arise; this people will go astray” (Deuteronomy 31:16). This indicates that Moses will die and then arise from the dead and that the Holy One, Blessed be He, knows what the children of Israel are destined to do. The Romans asked: But perhaps the verse should be divided in a different manner, and it should be read: “Behold, you shall lie with your fathers and this people will arise and go astray after the foreign gods of the land.” Rabbi Yehoshua ben Ḥananya said to them: Take at least a response to half of your question in your hands from that verse, that God knows what is destined to be. 1 Rendering: And if not, they are not as evil now as the cry which has ascended to Me, I will know how to punish them by suffering, thus vindicating the demands of justice for their past misdeeds, yet I will not utterly destroy them. Thus they were given an opportunity of repenting. This interpretation is adopted because otherwise it would appear that God, the omniscient, did not know whether they were evil or not, which is impossible (Mah.). From other passages, in which God is said to draw or bend Satan himself, and all the reprobate, to his will, a more difficult question arises. For the carnal mind can scarcely comprehend how, when acting by their means, he contracts no taint from their impurity, nay, how, in a common operation, he is exempt from all guilt, and can justly condemn his own ministers. Hence a distinction has been invented between doing and permitting because to many it seemed altogether inexplicable how Satan and all the wicked are so under the hand and authority of God, that he directs their malice to whatever end he pleases, and employs their iniquities to execute his judgements. The modesty of those who are thus alarmed at the appearance of absurdity might perhaps be excused, did they not endeavour to vindicate the justice of God from every semblance of stigma by defending an untruth. It seems absurd that man should be blinded by the will and command of God, and yet be forthwith punished for his blindness. Hence, recourse is had to the evasion that this is done only by the permission, and not also by the will of God. He himself, however, openly declaring that he does this, repudiates the evasion. That men do nothing save at the secret instigation of God, and do not discuss and deliberate on any thing but what he has previously decreed with himself and brings to pass by his secret direction, is proved by numberless clear passages of Scripture. Calvin, John. The John Calvin Collection: 12 Classic Works (Kindle Locations 3529-3539). . Kindle Edition. But some one will say, Does he not know without a monitor both what our difficulties are, and what is meet for our interest, so that it seems in some measure superfluous to solicit him by our prayers, as if he were winking, or even sleeping, until aroused by the sound of our voice? 1 Those who argue thus attend not to the end for which the Lord taught us to pray. It was not so much for his sake as for ours. He wills indeed, as is just, that due honour be paid him by acknowledging that all which men desire or feel to be useful, and pray to obtain, is derived from him. But even the benefit of the homage which we thus pay him redounds to ourselves. Hence the holy patriarchs, the more confidently they proclaimed the mercies of God to themselves and others felt the stronger incitement to prayer. It will be sufficient to refer to the example of Elijah, who being assured of the purpose of God had good ground for the promise of rain which he gives to Ahab, and yet prays anxiously upon his knees, and sends his servant seven times to inquire (1 Kings 18:42); not that he discredits the oracle, but because he knows it to be his duty to lay his desires before God, lest his faith should become drowsy or torpid. Wherefore, although it is true that while we are listless or insensible to our wretchedness, he wakes and watches for use and sometimes even assists us unasked; it is very much for our interest to be constantly supplicating him; first, that our heart may always be inflamed with a serious and ardent desire of seeking, loving and serving him, while we accustom ourselves to have recourse to him as a sacred anchor in every necessity; secondly, that no desires, no longing whatever, of which we are ashamed to make him the witness, may enter our minds, while we learn to place all our wishes in his sight, and thus pour out our heart before him; and, lastly, that we may be prepared to receive all his benefits with true gratitude and thanksgiving, while our prayers remind us that they proceed from his hand. Moreover, having obtained what we asked, being persuaded that he has answered our prayers, we are led to long more earnestly for his favour, and at the same time have greater pleasure in welcoming the blessings which we perceive to have been obtained by our prayers. Lastly, use and experience confirm the thought of his providence in our minds in a manner adapted to our weakness, when we understand that he not only promises that he will never fail us, and spontaneously gives us access to approach him in every time of need, but has his hand always stretched out to assist his people, not amusing them with words, but proving himself to be a present aid. For these reasons, though our most merciful Father never slumbers nor sleeps, he very often seems to do so, that thus he may exercise us, when we might otherwise be listless and slothful, in asking, entreating, and earnestly beseeching him to our great good. It is very absurd, therefore, to dissuade men from prayer, by pretending that Divine Providence, which is always watching over the government of the universes is in vain importuned by our supplications, when, on the contrary, the Lord himself declares, that he is “nigh unto all that call upon him, to all that call upon him in truth (Psalm 145:18). No better is the frivolous allegation of others, that it is superfluous to pray for things which the Lord is ready of his own accord to bestow; since it is his pleasure that those very things which flow from his spontaneous liberality should be acknowledged as conceded to our prayers. This is testified by that memorable sentence in the psalms to which many others corresponds: “The eyes of the Lord are upon the righteous, and his ears are open unto their cry” (Psalm 34:15). This passage, while extolling the care which Divine Providence spontaneously exercises over the safety of believers, omits not the exercise of faith by which the mind is aroused from sloth. The eyes of God are awake to assist the blind in their necessity, but he is likewise pleased to listen to our groans, that he may give us the better proof of his love. And thus both things are true, “He that keepeth Israel shall neither slumber nor sleep” (Psalm 121:4); and yet whenever he sees us dumb and torpid, he withdraws as if he had forgotten us. Both Calvinists and open theists have argued that if God knows the future infallibly then it must be determined and Free Will does not exist. Leighton flowers has mentioned that this is a logical fallacy of conflating certainty with necessity. This originally came from William Lane Craig and here is the video that it came from. [William Lane Craig] Q&A – If God foreknows all my decisions, do I have free will? Monilist Not a straw man at all. Both calvinist and open theists have argued that if God knows the future completely then it makes it necessary and dr. Craig was responding to that. God knowing the future does not mean that he determined it. You can believe in determinism if you want to but two conflate certainty with necessity is logically fallacious. Chris Fisher You built the strawman too. It can both be true that foreknowledge does not equal causation and that a known future necessitates fatalism. See my chart above, which you ignored. Chris Fisher ^Again, ZERO people are claiming that because God knows what color shirt you will wear means He determined it. That is the strawman which allows you to maintain your fiction to fight. Monilist Tons of people are claiming that who have you been reading? Chris Fisher Alright, from this thread, you have claimed that I claimed that foreknowledge equals God determining everything. Because that is not true, and blatantly false, and you didn’t understand my argument, I am going to go out on a limb and say you probably didn’t understand other people’s arguments either. 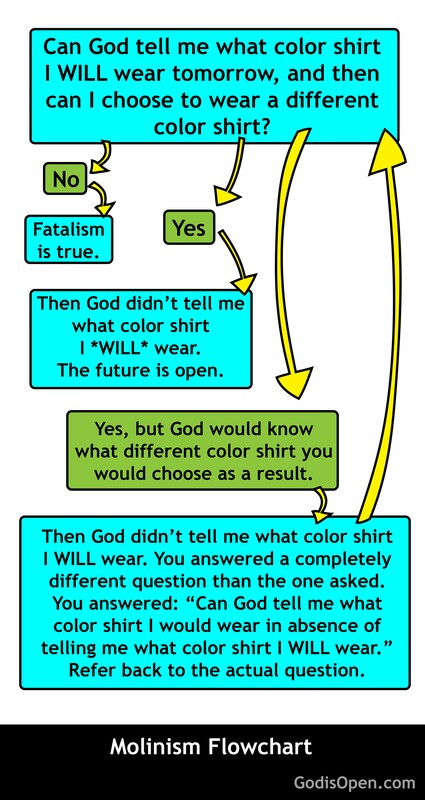 If God knows what shirt I WILL wear tomorrow, fatalism is true. See my chart. Chris Fisher False. This is why it is hard to have an honest dialogue. It could be the case that God is a part of fatalism. God is just fated as much as everything else in the universe, and although He is fated to know the future, the fate (or some other third party mechanism) is the cause and not God. Chris Fisher In your system, God is just as much an aspect of fate as you and I. He has no volition and no free will. Not even He can change the future. Chris Fisher No… Never said that. Deal with my arguments. Chris Fisher And, as a note, none of my arguments rise or fall on anything I personally believe. Chris Fisher Monilist You are not following the premise of what is happening here. Molinism is false for the same reason any time travel movie falls apart. You have results pre-existing the cause. I am going to wear a shirt tomorrow. God should have that knowledge and SHOULD be able to tell me what shirt I WILL (not MIGHT) wear. If God knows the future and what I will do in any circumstance, He should be able to even factor in telling me what color shirt I WILL wear. Now that I am informed, I use that knowledge to subvert what God knows WILL happen. God didn’t actually then tell me what shirt I WILL wear. Chris Fisher Either the future that God knows WILL happen CAN be subverted, or fatalism is true. Pick one. You don’t get both. Monilist Once again you’re conflating certainty with necessity. You’re committing the very fallacy that dr. Craig is talking about in the video. And I don’t think you’re actually following with what I’m saying either. Just because God knows something in advance does not make that necessary or faded Just as us knowing what happened in the final game of the World Series in 1997 for example does not make what happened in that game necessary. And God can know the future without telling us what the future is. I don’t understand why the graph felt the need to mention God telling us the future. And I don’t have to pick one of the choices that you gave me. I would say neither one. God does know what will happen in the future and it cannot be subverted. That does not make fatalism true because I could have done something different and if I had God’s foreknowledge would have been different. Moreover there could be tons of other ways that God could know the future exhaustively without necessitating fatalism. For example God could be present in all times as well as all places. In this scenario God would know all the future exhaustively because he would already be there presently. And certainly fatalism would not be necessitated in that situation. But even if you interpret foreknowledge to mean that God is looking ahead into the future but only existing in our present it still does not follow that fatalism is true. Chris Fisher Now you attempting to win the argument by introducing outside concepts that don’t make any sense, and that you have not proved. An event in the past that cannot be different than it is, you label it as not a “necessary” event. That is a major assumption you are importing into the conversation. Explain to me how an event that cannot be other than it is, and never could have been, is anything except a fated, necessary event? Chris Fisher “That does not make fatalism true because I could have done something different”… no you couldn’t have. That is what we are discussing. Just import unproven assumptions. I am arguing that 100%, absolute knowledge of the future means fatalism is true. Assuming your position is true before the discussion begins is the fallacy of Begging the Question. Chris Fisher Again, I am not arguing anything about what I believe. My arguments do not rise or fall on my personal beliefs. This latest comment of yours is more evidence of this bad thinking. While I do argue that foreknowledge does not equal causation, foreknowledge plus other factors might. If you assume new factors into the equation, yeah, God can easily be the cause of the fate. But that is why this thread exists. WLC and you build strawmen to dismantle, rather than the actual arguments. MonilistNUM2t Chris Fisher Having taken a graduate level class on Divine omniscience with Dr. Craig, I can assure you he does not build a strawman. He typically does not engage other view points with cartoons and memes, unlike some; rather, he actually refers to Molina, Boyd, Sanders, Hasker, Plantinga, etc. Chris Fisher You: So SFK (simple foreknowledge) of God does not equal fate. Me: True. But foreknowledge means things are fated. You: So foreknolwedge causes fate. Me: No. Again, it is proof of fate’s existence. Something else could cause the fate. You: But God has the SFK and nothing is greater than him, so therefore he could be the only cause. Me: Alright, so why on Earth are you building strawman arguments about SFK and fate, rather than your SFK + Perfect Being theology actual belief. Chris Fisher MonilistNUM2t Yeah, thanks for a constructive addition to this conversation that added real intellectual points. Chris Fisher Again, refer to the chart. If something is known 100% by anyone, even if that being is not God, then fatalism is true. MonilistNUM2t Chris Fisher Of course, you’re welcome. Chris Fisher You haven’t answered it though. Can God tell me something I WILL (no kidding, not a joke, not a funny funny, I WILL, seriously, not kidding) do, and then can I do something else? Chris Fisher Yeah, we have examples in the Bible of God telling the future. So apply my example to those instances rather than running from the question. Chris Fisher “yes you could have done differently”, then God didn’t tell me the future. Congratulations, God didn’t “know” the future. Chris Fisher You literally just told me that the future God knows WILL happen, will NOT happen. Chris Fisher Me: Can God tell me something I WILL (no kidding, not a joke, not a funny funny, I WILL, seriously, not kidding) do, and then can I do something else? You: Let me not answer your question, and change it to something entirely different so I can avoid your point. Because I build strawmen rather than dealing with arguments. Chris Fisher 1Sa 15:11 “I greatly regret that I have set up Saul as king, for he has turned back from following Me, and has not performed My commandments.” And it grieved Samuel, and he cried out to the LORD all night. Chris Fisher 1Sa 2:30 Therefore the LORD God of Israel says: ‘I said indeed that your house and the house of your father would walk before Me forever.’ But now the LORD says: ‘Far be it from Me; for those who honor Me I will honor, and those who despise Me shall be lightly esteemed. Gen 12:12 and when the Egyptians see you, they will say, ‘This is his wife.’ Then they will kill me, but they will let you live. So, if you are claiming Keilah tells you something about God knowing “all possible futures” you might as well make the same claim about Abraham. Sifting through the superfluous parts about jokes and being funny, the answer is yes; God could tell you what you will do and you still can do something else. I’m not sure why this is confusing to you. Perhaps you’re unaware of logical priority as opposed to temporal priority or other such terminology. Part of the reason this discussion is not going far is terms are not being defined properly. For example, defining exactly what you mean by “can” would be prudent. For example, “can/could do otherwise” usually means completely different things for a compatibilist versus a libertarian. I’ll take the time to respond once to you, but then have other things I’d rather spend time on. Chris Fisher //God could tell you what you will do and you still can do something else. Then the future is not known. God doesn’t “know” the future. If your argument is that God can change the future, and man can as well, that is not molinism, that is Open Theistic neo-molinism. The future is not set and can be changed. It is not “known”. Also, Begging the Question is a fallacy. If you are introducing concepts that should be rejected for being self-contradictory, at least attempt to prove them. Chris Fisher And straight out, Molinism is not a Biblical concept, as we see from God revoking an eternal promise to replace it with a conditional promise. It doesn’t get more clear than that. Of course it is. I just said that God knows what you will do and He told you so. Maybe I could make it more obvious for you: The future is known by God. That should be hard to misunderstand or strawman. You seem to misunderstand Molinism (and my explicit response) completely. You keep talking about people running from your questions but then when I do answer, you ignore my answer. The Molinist-biblical view is more than clear that God knows the future, including creaturely free choices. So in no uncertain terms the future is known by God. And I never said anything about God or man changing the future. That’s not “neo-Molinism” in the slightest; One of Molinism’s core tenets is God’s exhaustive foreknowledge. I did not attempt to prove logical or temporal priority (why these basic philosophical axioms would need to be proved is beyond me, however). You are the one speaking as if your cartoon disproved Molinism and I merely pointed out you seem wholly ignorant of Molina’s writings. Even so, the point is that God knows what you will do precisely because the free choice was made. The logical priority is to the free choice. God knows temporally prior what the free choice will be; but that in no way suggests it is determined. God knows the free choice because it will be made. At the moment of the choice, you will have (libertarian) freedom to choose A or -A. Meaning you *can* choose otherwise. You *won’t* choose otherwise, but you can. Also, the choice is self-determined, which is a weaker, but also sufficient condition for libertarian freedom. Craig actually endorses this latter view of libertarian freedom. Your final sweeping assertion about your exegetical conclusions is so vague it’s difficult to respond to. I could just as easily say this novel Open Theistic view is biblical baseless and built upon a philosophical problem which is trivially easy to solve for all but a view confused individuals. But this is hardly helpful, even though it is true. Succinctly put, you have provided nothing compelling in the slightest to reject the biblical data of God’s exhaustive foreknowledge. There is no philosophical problem nor is there biblical space to embrace Openism. It was a fun conversion! But I do not have the interest to engage further. Feel free to respond, though, if you feel so inclined. If God told me what I “will” do, but I did something else, then God didn’t tell me what I “will” do. He told me what I “will do under certain circumstances” but He didn’t tell me anything about what WILL happen. I directly responded to it, and quoted it. Fantastic. God has exhaustive foreknowledge, excluding what future will be actualized, according to your answer to my question. Welcome to Open Theism. I gave an example. There is an event that is referenced in the past. It is fixed. It can never change. It will never change. If God exhaustively knew it would always be, then it could never have been any different, but then you say it is not “necessary”. George H Smith, an atheist, points out this Begging the Question in his book against Christianity. You introduce non-nonsensical, and self contradictory categories to deal with the problems your system creates. This thread is not about the Bible. I had referenced it when you side started denying God could say anything about the future, and I had to snap you guys back to reality. We could definitely debate the Biblical view of foreknowledge. The Biblical data is conclusive. Your side 100% relies on Special Pleading and Begging the Question. But this thread is not about the Biblical data. But, I have hundreds of thousands of words written on the topic if you care. As long as we understand that the object of God’s foreknowledge is logically prior to what he foreknows, it doesn’t really matter that God’s foreknowledge is chronologically prior to the event foreknown. What that means is that if the event were to be different then God’s foreknowledge would be different. I say, then, that God is not born, not made, an ever-abiding nature without beginning and without end, immortal, perfect, and incomprehensible. Now when I say that he is “perfect,” this means that there is not in him any defect, and he is not in need of anything but all things are in need of him. And when I say that he is “without beginning,” this means that everything which has beginning has also an end, and that which has an end may be brought to an end. He has no name, for everything which has a name is kindred to things created. Form he has none, nor yet any union of members; for whatsoever possesses these is kindred to things fashioned. He is neither male nor female. The heavens do not limit him, but the heavens and all things, visible and invisible, receive their bounds from him. Adversary he has none, for there exists not any stronger than he. Wrath and indignation he possesses not, for there is nothing which is able to stand against him. Ignorance and forgetfulness are not in his nature, for he is altogether wisdom and understanding; and in Him stands fast all that exists. He requires not sacrifice and libation, nor even one of things visible; He requires not aught from any, but all living creatures stand in need of him. 1. Keep in mind the NT’s purpose in referencing the OT. We often think every time the OT is referenced it must mean the NT author is trying to exegete the OT passage. But there is no rule of inerrancy which says the NT author must always be attempting to give the correct interpretation of a given passage. The NT author may not be attempting an interpretation at all. If someone asks me, “How is the editing work going” and I say, “It’s tedious–line upon line, precept upon precept” this doesn’t mean I’m trying to exegete Isaiah 28:10. I’m simply employing the familiar language of a familiar passage. 2. Along these lines, remember the NT often uses the OT simply as a vehicle of expression. The NT writers were hugely familiar with the OT. It’s no wonder they employed its vocabulary. In the same way, Westerners might use a line from Shakespeare or the Bible because it is familiar, but without intending to explain its context or original meaning. 3. The NT may press home the significance of a passage without trying to explain its original meaning. For example, Moo points to Paul’s use of Deuteronomy 25:4 (“You shall not muzzle an ox when it treads out the grain”) in 1 Corinthians 9:9. Critics argue that Paul is taking the Law of Moses out of context by saying this passage is about paying ministers. But surely Paul is justified in pulling a fair inference out of the passage and applying it to his own context. 4. We must allow for a broader view of “fulfillment” language. A lot of trouble could be avoided if we understood that the use of plēroō (fulfilled) does not have to mean “and so this verse predicted that Jesus would do or say this thing that just happened.” As Moo says, “The word is used in the New Testament to indicate the broad redemptive-historical relationship of the new, climactic revelation of God in Christ to the preparatory, incomplete revelation to and through Israel” (191). In other words, “fulfilled” does not mean the OT text in question is a direct prophecy. Consequently, Jesus flight to Egypt can fulfill Hosea 11:1, not because Hosea ever intended to predict a Messianic trip down south, but because Jesus is God’s greater Son who is the embodiment of a new Israel. Jesus is on an Exodus journey of his own. Hosea did not predict the Holy Family’s flight to Egypt, nor does Matthew suggest the prophet meant to do so. But Matthew does see that the story of Israel’s exodus, alluded to in Hosea, is brought to its full redemptive-historical revelation in Christ. 5. Similarly, some OT passages are fulfilled typologically. This is different than allegory. And allegory looks for meaning behind the text where typology finds a developed meaning that is rooted in the text (see Moo 195). Jesus’ passion can be seen as a fulfillment of David’s heart cry in Psalm 22 not because David thought he was predicting the death of the Messiah, but because David, as the king and as the promised progenitor of the Messiah, was a type of Christ whose cries anticipated the final dereliction of David’s greater son. 6. OT prophecy is full of examples where there is a near and far fulfillment. Isaiah 40, for example, was a word of comfort about the return from Babylon, but later we see it also was a word about John the Baptist who would prepare the way for the Messiah (Mark 1:2-3). Much of the prophetic witness implicitly anticipates a future, fuller, often eschatological fulfillment. Isaiah may not have known that his words about the virgin were Messianic, but this does not mean he’d be surprised to know they were. Israel was always waiting for the everlasting kingdom and the final Deliverer. I think the prophets understood that what they foretold (and forth-told) was for their day, but it could be for the future as well. As in Isa 10: 6 with Assyria, Babylon did not stay within its mandate from Yahweh. Babylon failed to show the mercy required (cf. Jer 40: 9, 42: 11– 12). As a consequence, Babylon, a power willed to proximate power by Yahweh, forfeits power by overstepping Yahwistic restraint. The pivotal notion is mercy. Of course, no mention of showing mercy had been made to Babylon (as no mention had been made to Assyria in Isaiah 10). Indeed this invading people is initially summoned for “no mercy” (Jer 6: 23). But, according to Israel’s testimony, Nebuchadnezzar should have known. He was, after all, dealing with Yahweh and with Yahweh’s beloved people. Yahweh was angry (qṣph) to be sure, but anger is not Yahweh’s final intention. Nebuchadnezzar was not told; but he should have known. For not knowing, the “glory and grandeur” that was Babylon must end. Brueggemann, Walter. Theology of the Old Testament: Testimony, Dispute, Advocacy (p. 512). Fortress Press. Kindle Edition. NKJ Act 15:18 “Known to God from eternity are all His works. The context of 1 Samuel 2:30 is about Eli’s worthless sons. They are evil, and God regrets giving His promises to Eli to have an eternal priesthood. Verse 30 is God revoking His eternal promise. Although God had promised Eli a house “forever”, He needs to recall that promise and replace it with a conditional promise. God had promised, “but now” God promises something else. The change of promises is explicit. The first promise is “far be it from” God. God is distancing Himself from His original promise in the most explicit of terms. The fact that the new promise is a conditional promise suggests that the original promise was not conditional. If the original promise was conditional, then there would be no need to replace it with a conditional promise. The original promise could have just been fulfilled without change. 1 Samuel 30 is a clear incident of God experiencing a change that He did not expect. The text is clear and unambiguous. This unexpected change forces God to revoke an eternal promise, and replace that promise with something that can adapt to situations as they change. God is acknowledging that He does not know the future and will be able to adapt to a future He does not forsee. Job 14:5 is often used as a prooftext for the idea that God decides the length and extent of each individual’s life. Berkhof, Louis. Systematic Theology (p. 92). . Kindle Edition. The verse, in context, is a quote by Job in the context of lamenting God’s misruling of the world. Job tells God to “look away” v6 because He is too harsh. The verse is better taken to mean that human kind does not live forever. God has set limits on how long man can live. And the point, in context, is that God should stop tormenting Job and let Job live out the remained of the lifespan determined for humans. 5–6 The three cola of v 5 are best taken as the threefold reason for the demand of v 6. The initial [Hebrew omitted] is not the hypothetical “if” but “if, as is the case,” which means “since.” The emphasis in this triple description of the prescribed length of human life is not that it has been fixed at a particular span, nor that God himself has fixed it, but that God well knows how brief a span it is; this is so evidently the general reference that it is not expressly stated. Instead, what is stated is the impossibility of the assigned span being exceeded. The number of human days is “determined” [Hebrew omitted], the accent being on the irrevocability of the divine decree (Horst; cf. [Hebrew omitted] in Isa 10:22; Joel 4:14 [3:14]; Dan 9:26, 27; 11:36). Likewise the months of human life are “known” to God, lit., “with you” [Hebrew omitted], in your knowledge or memory; for such a meaning of [Hebrew omitted] “with” cf. Isa 59:12; Prov 2:1; Gen 40:14 (BDB, 86 § 3b). Days and months together add to a total which is humankind‘s “limit” ([Hebrew omitted] “prescribed thing”); the term is used in v 13 of a prescribed time, and elsewhere of the prescribed limit of the sea (26:10; 38:10; Jer 5:22; Prov 8:29), of the heavens (Ps 148:6) and of the land of Israel (Mic 7:11). To “pass over” [Hebrew omitted] a “prescribed limit” [Hebrew omitted] sounds like a legal expression meaning to “transgress a decree” (the exact phrase is not actually attested in the Hebrew Bible); some play may be made with the idea that any “overstepping” [Hebrew omitted] the divine prescription of one‘s fixed span of life would be like a “transgression” [Hebrew omitted] Job has twice urged God to “desist” [Hebrew] from him, to leave him alone (7:16; 10:20), so that he may have some relief in the days that remain for him. The thought is apparently a conventional form of lament; cf. Ps 39:14  “Look away ([Hebrew omitted] , as here) from me, that I may be cheerful ([Hebrew omitted] , as in 9:27; 10:20), before I depart and be no more.” Here of course it is humankind, not Job personally, that is the ostensible object of God‘s unremitting attention, which Job experiences as hurtful and undesirable. Calvinism. There’s a lot to address, so the expectation of brevity is not well founded. When you really examine things, especially false things with tons of ostensible historical support, there’s a lot of baggage, and it all needs to be torn through. I will be describing calvinism, what calvinists believe, etc, often in this writing, and its important to understand the context in which I speak. I am not speaking for the calvinist. I am not saying that my claims about calvinism are the way a calvinist would describe their beliefs, or the logically inescapable implications of said beliefs. That is not what I am doing here. And no, me not doing that does *NOT* mean that I am only arguing against a straw man, or intellectually dishonestly misrepresenting what calvinists believe. I am critically examining calvinism, and pointing out things about it which ARE TRUE, but which calvinists do not believe, realize, deny in unrighteousness, etc. WORLDS of difference between that and a straw man. 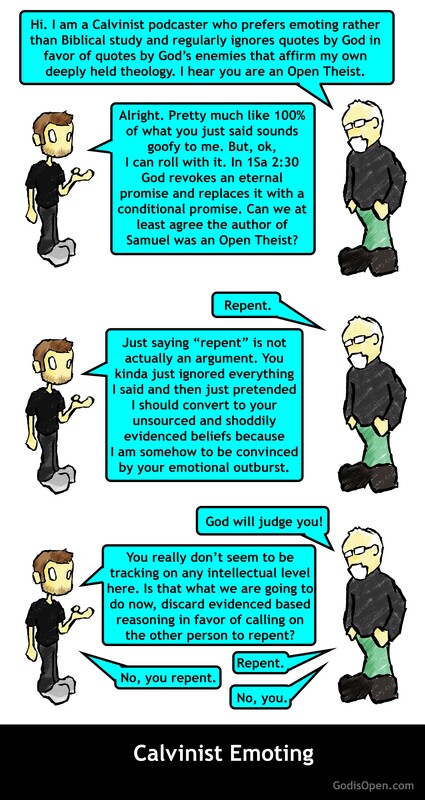 And that is how ALL refutation works. That is what calvinists do to other worldviews as well. I am not doing anything that they don’t do to others, to them. I will point out things about their beliefs which are unintended consequences and implications of things they do actually affirm. If you think I am misascribing an implication or consequence, etc, skip the accusations of dishonesty and fallacy, and instead address the underlying logic I am employing when I assert said implication or consequence. In other words, actually refute my claim. The thing about calvinists and accusing people of straw manning calvinism, is that their standards for what constitutes a straw man are some very shifty goalposts. When a calvinist apologist is debating an atheist and points out logically inescapable yet unintended consequences of the atheistic worldview as the atheist themselves would enunciate it, calvinists are fine with that. When a calvinist wants to “refute” another theological perspective, they can do the same thing, and again, no calvinist will call that a straw man. But you point out the logically inescapable yet unintended consequences of calvinism as a calvinist would themselves enunciate it, and all of a sudden an internal critique is automatically a straw man. This ties in directly to how most calvinists utterly misapprehend how presup works, they think neutrality being illusory and their confused understanding of epistemology means that they’re incapable of critically examining their own beliefs in earnest, and that’s not the case at all. This same issue also ties directly into how common a practice it is among calvinists to hold one singular facet of an opposed worldview up to the light of calvinism, and when it doesn’t match up, acting like that’s somehow tantamount to refuting that one facet of the opposed worldview that was taken out of context. Based on these phenomenon which I consistently encounter when dealing with calvinists in critical discourse (virtually 100%, in fact I really might think it might be ACTUALLY 100%), I can only conclude that calvinists are religiously against earnest critical self examination. If you read what I am about to say, and comment about it saying something like “I didn’t even need to read any further than this line har har har” we’re done. We have nothing to discuss. You’re not interested in a logical debate. Move along back to the kiddie table. We all have read the bible, we all know the scriptures at play in this discussion/topic. There’s no need for my argument to directly quote scripture ever, because its based on refuting the underlying logic and presuppositions that undergird calvinism, through which the scriptures in question are interpreted. I am not interested in a copy/paste verses competition. If I say “we know X from scripture” and you disagree, don’t come at me like I am dishonestly making my points about what scripture says and that’s why I am not directly quoting scripture (I do not deal with that entire vibe of people), skip the accusation, and instead just tell me what you disagree with, why, and allow me to respond. Don’t act like your interpretation being right, and mine being wrong, is a given, and run with it, or I will just ignore you. Believe me, I am willing, and VERY able to discuss the specifics of scripture, if you feel that there’s something I over looked, misunderstood, etc, bring it up. But don’t just ignore my points and start at the first step of the dialectic, if you ignore my points, I ignore you. I won’t be unequally yoked. If you stop reading part way, to take issue with something I address later on in this post, since you’re ignoring my points yet insist on asking questions about them, I will ignore your questions in return. Look for your answer here first, or don’t ask me. If you have read the whole thing, and don’t see that I have responded to an issue, even if I think I have, I won’t hold it against you. I understand you might not notice the part I am addressing that, or associate what I am saying with that issue, etc, that’s fine. All I am saying is READ THE WHOLE POST FIRST. We all know the proof texts calvinists use to try and affirm their positions, we don’t need to read over those. We know what they say. Anyone participating in a discussion of calvinism better first familiarize yourselves with what calvinists believe, and their ostensible “proof” texts for such. This discussion will be assuming a certain minimum level of background knowledge on the topic, and won’t be making attempts at speaking at the level of the novice to this topic. The debate really is so much more about the presuppositions and epistemological background that goes into calvinistic interpretations of scripture that need to be addressed. Its much more a logic issue (and intellectual honesty/self deception issue, as bahnsen would put it), than a simple matter of copy/pasting verses back and forth at each other. Two people, who both hold to false views, can engage in this sort of sophistry all day. Its pointless to debate the data, before getting on the same page about valid standards, methods, etc, for interpretation of the data, ruling out common misconceptions, and talk about what would and would not constitute a point or defeater for each side. Also refer to my previously stated rules at the beginning of this note for the rest of the ground rules I have set for interacting with me. Nothing even slightly weird to expect, although this is the internet, and sadly even among “christian” circles, most people either don’t know how to be civil and discuss IDEAS instead of people on a personal level, or think being matter of fact and blunt is the same as being over the top rude. Neither are the case, so don’t come at me like that. The reason I bother to set ground rules is because without doing so, 90% of my time in a debate is taken up dealing with people who don’t understand communication, basic logic, debate, textual criticism, etc. (also because people tend to give more credence to a disclaimer than a refutation of a thing they’ve already commited themselves to, so dealing with it when it comes up sometimes proves impossible). Terms like “heretic”, etc, will get you no where with me. I don’t appeal to men, nor history. You need to learn the actual meaning and scope of the word if you want to go around using it as a defeater for arguments. Calvinists say that we, for all intents and purposes, do not have free will. Some will add the apologetic to that, that we have free will, but only within the confines of our nature. And many non-calvinists would agree with that apologetic. But the point here is that calvinism teaches that libertarian free will (IE actual, non word game free will) is mutually exclusive with God being truely sovereign. Nature, as calvinists, and those who see the issue of freewill similarly, define it, would include aspects of your nature such as “to be sinful”, or “to not repent of your sins”, or “to rebel against God”, etc etc etc. Now my question is this: If our freewill is confined by our nature, and the choices made with our freewill determine our fate, then who so ever gave us our nature, determined our fates at that same moment, did they not? So how is the whole “nature” apologetic actually an apologetic to the issue being raised that their theology makes God into the author of sin, and an arbitrary tyrant who punished those who do what he forces them to do? Its mere can-kickery. Its just kicking the can back a step. Instead of God forcing us to sin and then punishing us for what he forces us to do, he forces us to have a nature that forces us to sin, and then punishes us for what the thing he bestowed on us forced us to do. Merely kicking the can of tyranny back a step is not addressing the issue at all. Either way we’re all on rails, being punished for that which we’re forced to do. Forced to do by the punisher. The god of calvinism desires for us to do that which he desires us not to do. For his pleasure, we violate his will. That sounds to me, not like the God of truth, but a sower of confusion. 1) God gives us/determines our nature before we’re born. 2) We sin, reject repentance, and reject God, as part of our God-given nature. 3) We die, and are resurrected for the judgement. 4) We’re judged according to the choices we made with our freewill, which are completely confined by our nature, which God assigned to us. 5) We’re punished, based on a fate which was 100% handed to us, and we had 0% chance of effecting or changing in any substantive way that changes our ultimate fate. This timeline does not describe the God of the bible, what it describes is the author of evil, and also an unloving tyrant. Not by my own standards, I am not holding the false god of calvinism to my standards and judging him, he is being judged by The One True God’s standards as we find them in the bible. If our nature confines our actions, and we’re immutably assigned our nature, we’re being punished for the nature being foisted upon us. There is no moral agency there. There is no earning of a punishment. There is precisely zero personal responsibility in that equation. There’s only a puppet master getting mad that his marrionettes moved the way he made them move with his strings. A prideful, arrogant, wrathful child. Not fitting of the psychological profile of The Most High YHWH Father Elohim, but instead fitting of the psychological profile of Ha’Shatan. Calvinism seems to think that if you don’t believe that God is directly responsible for everything that ever occurs, then your religion is man-centered and you’ve turned God into something other than sovereign over all. When in actuality, what brings more glory to God? That his will be done on earth as it is in heaven EVEN THOUGH many oppose his will, that, even though people oppose him, and he’s given free will to us, still his plans inescapably come to fruition, or that everything to ever exist is merely the playing out of the preprogrammed movements of his robots on rails? What makes God more sovereign? That he has power enough to relinquish sovereignty where he sees fit through giving people free will, etc, or the arbitrary and unscriptural limitations you’ve placed on his power which state he cannot give people true free will? Let’s be clear, at its core, calvinism is deterministic in nature. There’s no two ways around that. Its confused and twisted conception of sovereignty will not allow for anything else. Calvinists really need to get through their heads that only through YHWH’s sovereignty do we have the free will to go against his will. Our ability to sin is a testament to YHWH’s sovereignty, since he deemed us able to sin, if we chose to disobey him, because it was HIS WILL that it be that way. To say us having true, robust free will, is mutually exclusive with God’s true sovereignty, is for the calvinist to be the one impugning his sovereignty. The calvinists are the ones setting arbitrary limits upon him and what he can and cannot do. 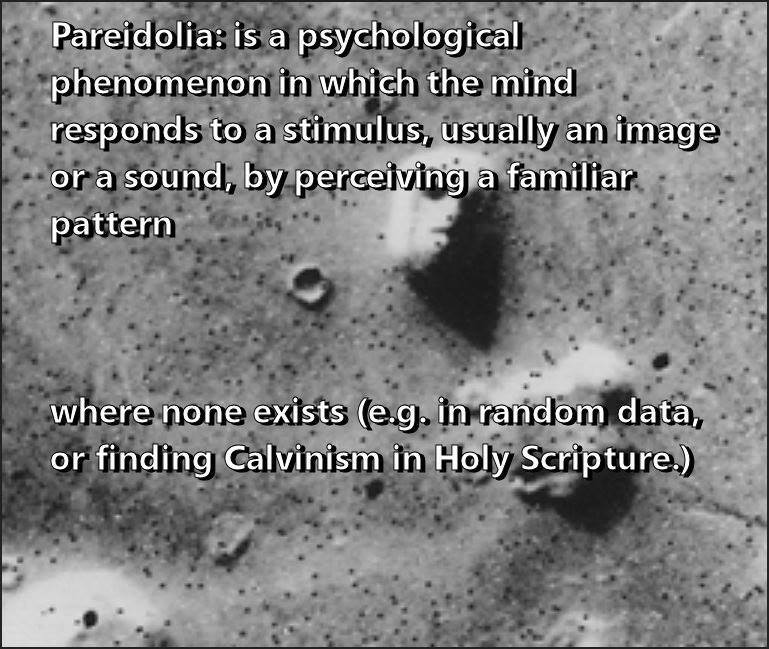 And no, its not a logical contradiction either, its not a “creating a rock too heavy to lift” nonsensical thing. Free will and God’s sovereignty simply are not logically at odds in the slightest, and no matter how embarassed that fact makes calvinists in light of their worldview, that fact remains unscathed. Calvinists can rail against it all they like. If not for his will being so, we would not have the ability to choose to disobey him. And only through the ability to choose to disobey YHWH does our obedience to him become meaningful. Also, only through our ability to choose to obey YHWH, does our punishment become just, and something we have earned for ourselves with our own agency. Its impossible to construct a framework within which people have agency sufficient to be deserving of punishment for things that they do not have the sufficient agency to actually do, or not do, as the case may be. That is a glaring example of how calvinists try to have their cake and eat it too. If we do what we do because he made us do what we do, that is not giving glory to God. That is making him a puppet master. Its not impressive for people to praise you because those people are puppets on your strings, and you’re moving the strings in a manner that makes them praise you. Likewise, if all things are his will that happen, you make YHWH the author of sin. You make him violate his own standards. That makes him not holy in your sight. We know right and wrong based on their relationship/reflection in the eternal, unchanging character and nature of God. We get our conceptions of personal responsibility, choice, and justice, from SCRIPTURE. Again, not judging God with my personal standards, judging the false god of calvinism by the standards of SCRIPTURE, by GOD’S standards. So if we know that holding someone responsible for something we forced them to do is wrong, we know it because that’s a reflection of God’s eternal and unchanging character on the matter. If God’s will is eternally holy and unchanging, but he also wills people to violate his will, you are creating a god after your own image, namely one who’s mind is riddled with cognitive dissonance. But that is not The God of The Bible, it is the false god of calvinism. It is a disguise that Ha’Shatan wears. There’s so much confusion involved in how so many of calvinists think their sins and life interact with “the cross”, “so no need to work more toward a better me” this is predicated on the concept that its either all God, or all us, a false dichotomy of all or nothing thinking. These sorts of confusions are the fruit of calvinism, or “calfeatism” as some have dubbed it. A gift is given without being earned, but is either accepted or refused by the receiver. its not at ALL in the LEAST against the COMPLETE sovereignty of God to say that we can refuse salvation. In his SOVEREIGNTY, he has given us that free will. And whats funny too is that calvinists will laud their own “holiness”, when living a lifestyle completely lacking in holiness. Even teaching against holiness openly. Holiness is WHOLE. Not HOLE. You cant be lawless and holy. Sorry, that’s not a compatible combination. If you were made holy, where’s the fruit of said holiness? Where is the calvinist demonstrating their holiness? There’s so much churchianity doctrine that’s totally not in the bible in these people’s beliefs, they really dont deserve to be associated with the bible, so much as organized churchianity. Its frustrating to no end how they’re non-stop saying quotes from theologians, false teachers, etc, and acting like they’re quoting something at all authoritative. They will proceed to quote a theologian, and act like his words are just as authoritative, or “debate ending” as an explicit statement from scripture. But only if its the theologians they like, that have the doctrine they agree with. They pick their favorite theologians based around affirming their preconceived notions and then turn to that same theologian as a “proof” of a belief that they only liked the theologian because he agreed with them on that matter in the first place (an obfuscation tactic for their egregious question begging). Your calvinistic “god” is Satan. The “god” of calvinism is the author of sin. The god of calvinism even supposedly chose to MAKE satan the father of lies, and MAKE him cause humanity’s fall into sin, because he desired those things in and unto themselves for his pleasure. Yes specifically in and unto themselves. Yes specifically because them happening pleased him. Yep, you believe that things happening which are against God’s will, are pleasing to God. Your god is a confused psychopath. By the standards of discernment we find in scripture, not my own fleshly, “reprobate” standards, mind you. A gift is not earned, but can be accepted, or refused. It takes two to tango, but God leads. Its not “man-centered” to say “when God gave me the gift of salvation, I accepted that gift”. Acceptance of a gift does not mean you gave it to yourself (IE you’re not saving yourself by accepting it, this is more calvinistic confusion, despite what they will falsely assert to the contrary). The possibility for refusal does not undermine sovereignty, since, AGAIN, only through God’s sovereignty do we have the free will to refuse the gift. Calvinism makes YHWH into the author of evil, and an arbitrary tyrant who is anything but just. (to be clear: “just” by the objective standards in scripture, I cannot be accused of exalting my own morals above God’s, I’m actually pointing out a CONTRADICTION between the concept of justice we find in scripture, and the “justice” of the god of calvinism) Many have tried, but all have failed, to refute the defeaters for calvinism. Yes all of them think they succeeded…yet all of them failed. Which is of course, very telling on many levels. My favorite calvinist, Greg Bahnsen, wrote extensively on self deception, I highly suggest giving it a read to any calvinist. The only thing Greg Bahnsen consistently disappoints me on when I listen to his debates, is when the problem of evil is brought up. The same goes for every calvinist practitioner of the transcendental argument/presuppositional apologetics out there, without free will as part of his worldview, he has no adequate response for the issue. He only has HALF a response, he can impugn the basis by which the atheist/unbeliever morally takes issue with it from within the framework of their own atheistic worldview, but just like we presuppositionalists hold our opponent’s worldviews to the fire of their own standards in search of self contradiction, so too must we hold our own worldview to the fire of our own standards for the same purpose. Its not enough to say “by what basis do you morally take issue with it?” showing that their worldview is not driving the point home is only half the battle, because you also have to show how your own worldview, which is the actual target, does not allow for the point to be driven home. It may very well be that the morality the atheist/unbeliever is normally appealing to is false, and he later realizes that, and also realizes that the morality of the bible is valid, and so by those standards could raise the same issue (not that their opponent would need to do this to bring up the fact that the calvinist response to the problem of evil is deeply flawed). Then the calvinist is left with no response, except their classic folly of accusing the person of judging God by his own personal standards, which is almost never the case when they make this fallacious, and frankly, somewhat duplicitous, accusation. But its certainly not the case when someone realizes that the calvinistic conception of god is at odds with the scriptural conception thereof. For those who still want to deny that calvinism makes God into the author of sin, here you have it… “God not only foresaw the fall of the first man, and in him the ruin of posterity; but also at his own pleasure arranged it. For as it belongs to his wisdom to foreknow all future events, so it belongs to his power to rule and govern them by his hand.” John Calvin, Institutes of the Christian Religion (III.xxiii.7) So really, John Calvin is admitting here that he teaches luciferianism. There is an interesting parallel between the serpent seed doctrine, and calvinism. If, hypothetically, the serpent seed doctrine were true, and I could be guaranteed damnation for who my earliest ancestor is, then I would be a glad and willful enemy of that god, the same as I would the god of calvinism (again, even though I know calvinists are intellectually dishonest enough to completely internally acknowledge this disclaimer but then ignore and make the exact accusation being disclaimed, I will disclaim it anyway: NOT BY MY OWN FLESHLY STANDARDS, BUT THE STANDARDS OF GOD AS WE LEARN THEM IN SCRIPTURE. THOSE ARE THE STANDARDS I AM JUDGING BY. ITS BY THOSE OBJECTIVE AND TRUE STANDARDS THAT I PROCLAIM THAT I WOULD OPPOSE THE gOD OF SERPENT SEEDERS OR CALVINISTS). “The Most High” cannot be “The Most High” if he blames his puppets for moving with the strings, in the very ways he tugs said strings. That is a blasphemy to ascribe to a loving and merciful sovereign, all powerful, all knowing, Father God, and exactly what Satan would want you to think is true about a God he is trying to blaspheme and defame any way he can. But you see, calvinists don’t really believe in an all knowing God or an all powerful God, if they did they would believe in a God with middle knowledge, and a God who’s capable of bestowing robust free will if he so desires. God deciding the outcome of everything is not compatible with true free will, or him not being a tyrant who punishes people for things that he forced them to do or be. 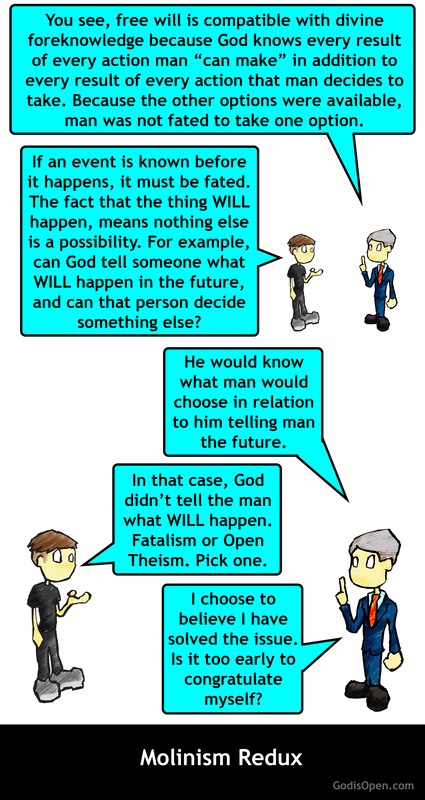 EITHER we have free will, *OR* God determines the outcome of every little tiddle (not a false dichotomy, an actual one). Understanding the difference between God KNOWING the outcome and planning based on that, and CAUSING every little outcome, is the key to avoiding SO MANY doctrinal traps. God KNOWS, and sets HIS pieces in motion according to the outcomes of our freewill, which he KNOWS the choices of, not CAUSES the choices of. PLEASE STOP WORSHIPING SATAN SERPENT SEEDERS AND CALVINISTS. Calvinism is reprobate. TULIP is reprobate. John Calvin is reprobate. 5 point theology is reprobate. I find calvinists to be some of the most close minded of those caught up in false doctrine. They tend to refuse to even consider the hypothetical possibility that they’re mistaken about anything doctrinal. Which means they shirk the advice of scripture to study to find yourself approved. You have to question what you believe, if you do not, you’re being intellectually dishonest with yourself. Many calvinist false teachers teach their flock that questioning your doctrine, is tantamount to willingly giving up your faith. This is a satanic lie. You need to be studying to find yourself approved before The Most High. Its so annoying when you point out to a calvinist they worship a god that is the author of sin, a being that desires evil to take place, forces people to commit evil and then gets mad about it after, and having his own will conflict with his own will, a being that could only be Ha’Shatan, the author of confusion. And they will say stuff like “god does not force anyone to sin, we all have free will within our nature, its just that everyone’s nature is sinful, and we can only sin by our nature” and then you point out “ok, so who gave us that nature of inevitable sin? did god? ok, so that STILL makes him the author of evil.” and they still don’t get it. If god WANTS you to have a nature that only allows for you to sin, then GOD WANTS YOU TO SIN. God is not retarded. He knows if he gives you a nature that only allows for sin, he is forcing you to sin by consequence. This is a simple application of the distributive property of language. God does NOT desire us to have a nature that makes sin inevitable. We DO INDEED have that nature, based on our flesh, but that is not what god WANTS for us. 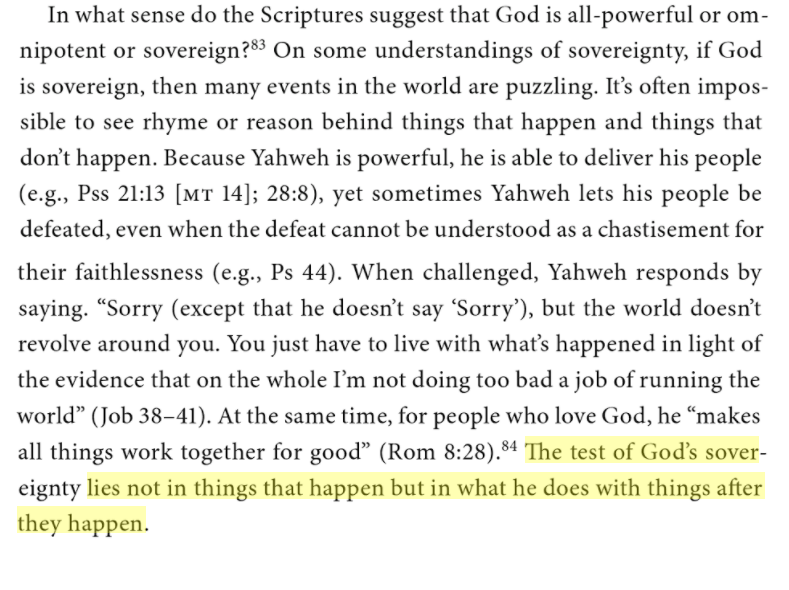 God allows things to occur which he does not want to occur, we know that explicitly from scripture, and its in no way what so ever mutually exclusive with God’s TRUE sovereignty. Calvinists CONSTANTLY confuse something happening because God allows it, and something happening because God WILLS it. God does not will everything he allows to pass. And in no way what so ever, not even one slight iota, does this impugn or denigrate his sovereignty. BY HIS SOVEREIGNTY HE DECLARED THIS TO BE THE WAY IT IS. BY HIS SOVEREIGNTY HE GAVE US *TRUE* FREE WILL, AND ONLY THROUGH HIS SOVEREIGNTY DO WE CONTINUE, FROM EACH MOMENT TO THE NEXT, STILL IN POSSESSION OF OUR FREE WILL. And no, salvation being a dance that God leads, that you need to be responsive to (simply an analogy, take issue with it at your own pedantic peril), is NOT saving one’s self, not even close. Again, you’re exercising your free will by responding appropriately, and you only have your free will by the sovereignty of The Father, so when you exercise your free will, it is a testament to God’s sovereignty. And what you’re responding to was offered to you based on mercy and grace, not on you earning it. And still in this scenario I am describing, there is ZERO salvation without God. Yes, absolutely, you can reject salvation. No, accepting it does not make the salvific act yours. When you receive a gift you don’t deserve, and you accept it, does that then make you the gift giver? NOPE. But that is EXACTLY what calvinists are saying, when they claim that belief in the ability to refuse salvation means we’re our own saviors. They’re saying if you have the option to turn down a gift, that makes you the gift giver. THAT IS LUDICROUS, BUT IT IS ALSO NOT A STRAW MAN OF THEIR POSITION DESPITE THEM SAYING IT IS. Its just that they refuse to accept unintentional, yet logically inescapable, implications of their doctrine. They do not perform the due diligence needed for critical self examination when it comes to calvinistic doctrine, instead they’re inculcated with the belief that studying pro-calvinism theologians is tantamount to critically examining it. Just because what I am saying they do is an elucidating perspective on their beliefs that they themselves would never word the way I am from their own confused perspective, does NOT in any way mean that they don’t believe that, or that I am misrepresenting what calvinists in fact DO BELIEVE. If you do not understand the you can believe Y and think you believe X, you do not understand one lick of scripture or self deception. Not ONE LICK. It is the calvinist’s game to misrepresent the anti-calvinist position, with unintended consequences and logically inescapable implications laid bare, as being misrepresentative of what calvinists teach. They employ the classic fallacy so many calvinists employ, equivocating what people say are the logically inescapable implications of calvinist theology, with what those critics say calvinists represent their own beliefs to be. This is the same fallacy we see atheists employ on a regular basis. “you’re not allowed to level any criticism against my views that I don’t already agree with, me being someone who already doesn’t see that criticism as valid (begging the question in the extreme), or you’re “misrepresenting” atheism”. That’s the same tactic calvinists constantly try to pull. But its not flying here. Of course calvinists do not hold themselves to the same standards they hold critics of calvinism to. They will CONSISTENTLY make characterizations of other people’s views based not on how the proponent of that view would put it, but based instead of what the calvinist (sometimes incorrectly) sees to be the logically inescapable implications of the view that the proponent of the view doesn’t see or won’t admit to. But when people do that to calvinism, the go to calvinist response is to accuse the critic of being intellectually dishonest and arguing against a straw man. 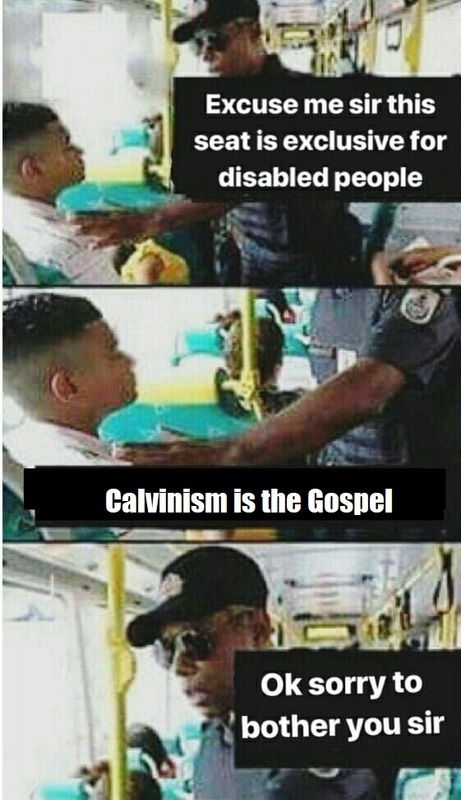 Even though the calvinist knows that the claim is not that calvinists explicitly teach X, and consciously espouse X, but that the claim is that calvinists, without realizing it, teach X even though they would very much like to see themselves as ideologically opposed to X, and that without realizing it, they’re espousing X EVEN THOUGH on a conscious level they want to oppose it. Its called an unintended consequence. It doesn’t matter if you like it, or want it to be true, it only matters if it is actually true. To parse out its truth, you certainly never resort to accusing someone of intellectual dishonesty for claiming the issue sticks, that’s begging the question about the issue they’re trying to raise. So the calvinist needs to debate how its true or not, using logic. Accusations and pathos are irrelevant. If I give you a list of a million different sins you can commit, and you literally cannot commit any action what so ever that’s not on the list, and then you commit an action on the list of the only action’s you may POSSIBLY commit, and then I punish you for sinning, is that justice? I limited you to that action. Does the fact that I gave you a million different options on how to sin take away from the fact that I am only giving you the option to sin? If the only aspect of those million different options that matters is whether or not they’re a sin, and all million are a sin, how is that list any different than a ONE ITEM LIST THAT JUST HAS THE WORD “SIN” WRITTEN ON IT? Did you choose to sin, or did you make a choice among the only available options, which were all sins, that I forced upon you? If I punish you for sinning, am I not punishing you for what I chose to force upon you? Its funny, calvinists constantly accuse anyone who delves deep enough into the fundamental logic of their beliefs to see that they worship satan, as themselves being satanists, or reprobate, or influenced by demons, or whatever dismissive pejorative with a paper thin veneer of piety they have handy. Here is the reason why: they PREsuppose the god of calvinism is the god of the bible. 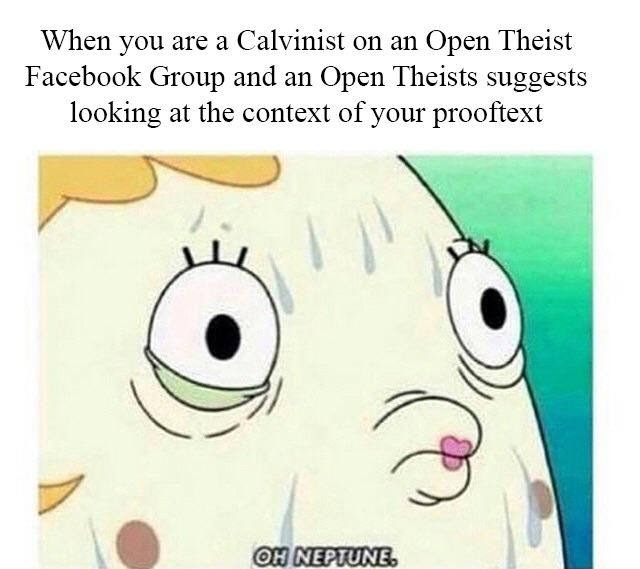 They take calvinism as presuppositional. Not the bible, not God’s existence, specifically calvinism. Whenever you point out anything that paints the god of CALVINISM as satan, they are incapable of not seeing that as you painting THE GOD OF THE BIBLE as satan, even though the whole point of what you’re saying, is that the god of calvinism is not the God of the bible. They have the same epistemic blinders on that neo-atheists do. They cannot even entertain a hypothetical thought exercise where they’re wrong, to examine other views within their own context, and instead keep shoehorning one item at a time from the opposing view, into the context of their OWN view, and then when it does not match up, acting like that refutes the opposing view. This is the sign of someone who’s not an earnest truth seeker going where ever the evidence takes them, but instead just trying to twist the evidence to confirm their preconceived notions. Its certainly a sign of someone who has not grasped epistemology or logic to such a degree that they should be parsing topics with overlap to calvinistic beliefs with authority opposed against other views they don’t even comprehend in the least. The trick of calvinism is to make you think unless you see God from a calvinist perspective, you don’t truly love him, aren’t truly obedient to him, refuse to accept his sovereignty, etc, and every single calvinist has fallen for it, including John Calvin (presumably, unless he was a willful deciever, that’s a possibility too). If it is, yes he is (again, NOT by my own personal, or fleshly desired, but by the values of God as we learn them in scripture. You see, I am using presuppositional apologetics to internally examine the worldview of calvinism for INTERNAL contradiction). The issue is not one which can be addressed by appealing to calvinists claims, in context of how they see them, with only the logically inescapable consequences of their position, which they actually concede, being mentioned or considered admissible. The issue is that, despite what calvinists confusedly think about their doctrine, the logically inescapable implications of it are that God is the author of sin, and the being who wills sin to occur (which is of course nonsensical, because sin by its nature is something which is against God’s will). Calvinists constantly confuse things which God wills to happen, with things God allows to happen even though its against his will (something he does as a SOVEREIGN ACT, he decides, as sovereign over all, to ALLOW IT, if he weren’t sovereign, he wouldn’t be ABLE to “allow” it, it wouldn’t be up to him to “allow”). Sadly, calvinists are very intellectually lost on matters of sovereignty. FULL, robust free will is in no way what so ever mutually exclusive or incompatible with FULL, robust sovereignty of God, because to reiterate, only through his sovereignty do we have free will to begin with, and only through his sovereignty do we continue to at every moment. People doing things against God’s will is not impugning God’s sovereignty, we have the option to shirk his will BECAUSE OF his sovereignty. Him not being able to bestow true choice to his creations would be placing arbitrary limitations upon God, and taking away from his glory, power, and sovereignty. Omnipotence is the ability to do all that power can do. If you’re saying that earthly rulers can relinquish a portion of their sovereignty to someone else, but God cannot, then you’re definitely limiting God bigtime. Its not glorious to have everything happen exactly as you plan it, because you micro manage every iota of existence and force it to happen. Its glorious when every being in the universe can rail against your plans, and yet still they go off without a hitch. And no, the question does not inherently put God to the test, it holds God to his own standards. Or do you not think self contradiction is the bedrock of refutation? The argument does not actually seek to establish that God is evil if calvinism is true, the argument seeks to refute calvinism by demonstrating the TRUTH that its logically inescapable implication is that god is evil, BY HIS OWN STANDARDS, which is itself an impossibility, and so therefore, calvinism must be false. Can God will something to occur, which is against his will? No. That is nonsensical. That is mysticism, paganism, mumbo jumbo new ager theosophy nonsense. That is not the God of truth, who says let your yes mean yes, and your no mean no. But that IS what calvinism teaches. Calvinism says that God does not force people to sin, and that we do have free will, its just that our free will is limited by our nature, and our nature is sinful. But God gave us our nature, so then he still made us sin. Our nature determines our eternal fate, of heaven or hell, according to calvinism. Some will be given a new nature, and rewarded for God forcing them to be righteous. Some will keep the initial sinful nature God gave them, and will be punished for God forcing them to be unrighteous. Both are not based on the choices the person made, but instead are based on an arbitrary decision (arbitrariness as opposed to having standards, such as our choices). No calling that decision arbitrary is not judging God by my own personal, fallen fleshly desires. Its judging the false god of calvinism by the standards of justice of The True God of the bible. This is not to say that man can save himself by works, not at all, works do not warrant salvation, they are the fruit of salvation. But repentance is something which is catalyzed by God, and responded to by the receiver of the holy spirit, which is NOT irresistible, as I have previously discussed. God can allow beings to do things which he prefers they not do, and have his plans come to fruition DESPITE, but not because of, said disobedience and sin. Because of how glorious a God he is. Willed mankind’s inherently sinful state. Says its useless to repent, because your fate is sealed no matter what you do. Yet tells people to repent anyway. Since he is the one that 100% makes the repentance occur, with no part of it being the sinner, he’s talking to himself, every time God tells someone in the bible to “repent!” or in fact every time he tells anyone to do anything, he’s merely talking to himself, telling himself to tug that particular puppet’s strings in a way that causes them to do those things. He calls people to repent, knowing they cannot. He exhorts them to use a free will he did not give them. Saying God is allowing satan to do something, and saying that God is making satan do everything he does, are two separate and distinct claims. One is compatible with the biblical concept of justice, one is not. When God gives a being, Satan, mankind, or whoever, free will, he does not lose his sovereignty, for it is only through his sovereignty that they have said free will. Free will is dependent upon God’s sovereignty, not mutually exclusive with it, as many would confusedly say. Calvinism confuses a great many matters. It turns God into the author of sin, it confuses the difference between God’s plans coming to fruition DESPITE sin, with God’s plans coming to fruition, THROUGH sin. Which, besides making him the author of evil and the one who caused the fall, makes him less glorious, because plans which can withstand attack are more amazing than plans which would fall apart if any little thing did not go directly according to them. Free will is not mutually exclusive with God’s sovereignty, it is a testament to it. Only through God’s divine decree do we have free will, and it only continues because he allows it to continue. In no way what so ever does full free will impugn God’s sovereignty at all. No being he has given free will to has the power to use their will to over turn God’s will. If it sounds like I am repeatedly reiterating myself, that’s not by accident, and not for nothing. When someone has heard LIES AND FALLACIES repeated ad nauseum, it takes a little repetition to break through the barriers those lies being heard repeated have erected between your mind, and the truth. Which is more glorious? A God who’s will be done no matter what, despite the free will of countless numbers of other beings being opposed to it, or a god who’s plan only comes to fruition because every little droplet throughout all of existence and history has been micromanaged by him to do so, like puppets at the end of strings? I was a calvinist for years before I started to see through the deception. Once you truly study it (and unless you’re earnestly exploring the possibility of it being a false teaching, you’re not truly studying it), you realize its actually based on gnosticism, luciferianism, etc. Not scripture. Its part of the great apostasy. I pray you do not get pulled further into that snake pit, although for all I know you’ve already hit rock bottom in it. Calvinism is pretty low in that pit. According to Calvinism, God created a universe full of evil and sin, because doing other wise would have brought God less joy. A world full of sin, maximizes the god of calvinism’s joy. Let that sink in. Who does that sound like? Calvinists always act like the basis for demonstrating that someone does not understand predestination, foreknowledge, etc, is that they do not accept the calvinist view of these things, IN A DEBATE ABOUT CALVINISM. Begging the question in the extreme. When it comes to criticism of calvinism, calvinists tend to think the debate is about “how calvinists would phrase their own teachings”, that’s not what the debate is about. It doesn’t matter how calvinists characterize what they teach or believe, if it can be logically, and with scripture, shown to be that they think they believe one thing, but don’t realize they really believe another. Intent is irrelevant. Positions, truth claims, etc, all have logically inescapable implications, and those implications are ANYTHING BUT bound by the intent of the person holding said beliefs in question, unless the scope of the implication in question is intrinsically related to the intent of the person, which is not very often at all. Calvinists “defend” calvinist doctrine through a series of kafkatraps, where denial of calvinism, automatically indicates one or more bad things about you, that render your criticism intrinsically “dishonest” and “dismiss-able without consideration”, and further “proves” calvinism as “true”. Again, those dishonest tactics won’t fly here. They get swatted down with big huge logical fly swatters. No emperor’s new clothes type arguments allowed in a rational, *EARNEST* discussion. Thanks. So these many issues point, of course, to the logically inescapable implication of the calvinist doctrinal position being that god is the author of evil, and logical contradiction, he wills people to sin, sin being something which is against his will. He then punishes them, when he made them adhere to sin, and have no choice otherwise. The “god” of calvinism is Ha’Shatan. Period. Dan 11:40–45 The “him” again presupposes that “the northern king” is the same person as that in vv 21–39. There is no hint of a transition to Antichrist or Antiochus V (Fischer, Seleukiden, 155) or Pompey and his associates (Gurney), while the phrase ―at the time of the end‖ (contrast v 35) seems to preclude our taking the verses as a résumé of Antiochus‘s career as a whole. Porphyry assumed that the quasi-predictive historical account of Antiochus‘s career continues in these verses. But vv 40–45 cannot be correlated with actual events as vv 21–39 can; further, in vv 40–45 the utilization of scriptural phraseology becomes more systematic than was the case earlier (see Form). These facts suggest that v 40 marks the transition from quasi-prediction based on historical facts to actual prediction based on Scripture and on the pattern of earlier events; this continues into 12:1–3. These predictions, then, are not to be read as if they were mere anticipatory announcements of fixed future events; like the promises and warnings of the prophets, they paint an imaginative scenario of the kind of issue that must come from present events. The fact that their portrayal does not correspond to actual events in the 160s B.C. compares with the fact that the Christ event does not correspond to other OT prophecies of future redemption (e.g., Isa 9:1–6 [2–7]). It is not the nature of biblical prophecy to give a literal account of events before they take place. Eze 28:3 (Behold, you are wiser than Daniel! There is no secret that can be hidden from you! Ezekiel 28:3 is a verse which is written from the perspective of God. He is lavishing praise on the Prince of Tyre. Although the text might be sarcastic, the later praises given to the parallel “guardian cherub” suggests that no sarcasms is intended. The tone of the chapter is “oh how the mighty fall”. God tells the prince “no secret can be hidden from you”. The language matches various statements made about Yahweh (e.g. Dan 2:22, Psa 44:21). The phrase is hyperbolic. The meaning is not that that the Prince of Tyre knows everything (omniscience), but that he is very smart and capable. This is reinforced by the surrounding verses. If this verse were to be about Yahweh, no doubt it would make its way into sermons of God’s omniscience. DOES GOD “CHANGE HIS MIND”? Biblical “Contradictions” – Does God Repent? What is not naive about these dialogues? At the assembly of the sons of God, where they come presumably to report on their activities, it seems only natural that the sovereign should initiate the conversation. But it is also subtly meaningful that he should be the first to speak: it means not only just that he begins the dialogue but that his question has a role-establishing function, showing that in the case of Job it is indeed God (and not the Satan) who takes the significant initiatives. It is God (and not the Satan) who is the chief architect of Job’s downfall.6 The Satan’s reply, ‘From going to and fro on the earth’, is not evasive, but shaped in such a way as to throw the initiative in the conversation back upon Yahweh. The Satan has nothing to report, nothing to advise, nothing to propound; he has simply been abroad on earth with his eyes open, amassing a fund of observations that his sovereign can use as he wills. Any move in the dialogue—or in the action—is up to Yahweh. It should be pointed out that these metaphysical readings are not dictated by the Hebrew of the Book of Exodus. Quite the opposite. The gloss which we translate 'I Am Who I Am', or ego sum qui sum, is better rendered as something like 'I am with you and will be with you'. Martin Buber and Franz Rosenzweig were particularly exercised, at the beginning of the twentieth century, by the distortions which entered when this Hebrew name of promise – a promise to be with the people on their journey in the wilderness – was made into a proposition of metaphysics. One of their targets on this score was Moses Mendelssohn; another was Maimonides. Consideration of their dispute over the Name and its gloss can open up some matters at stake in the theology of creatio ex nihilo. But what do “fleshly”…mean? …. [“Flesh”] is so problematic that it would be nice (as I have tried to do with some other technical language) to avoid it altogether, but I have found that doing so produces even worse tangles. Better to learn, once and for all, that when Paul uses the word “flesh” and other similar words he does not intend us simply to think of the “physical” world, in our normal sense, as opposed to the “non-physical.” He has other language for that. The word we translate, here and elsewhere, as “flesh” refers to people or things who share the corruptibility and mortality of the world, and, often enough and certainly here, the rebellion of the world. 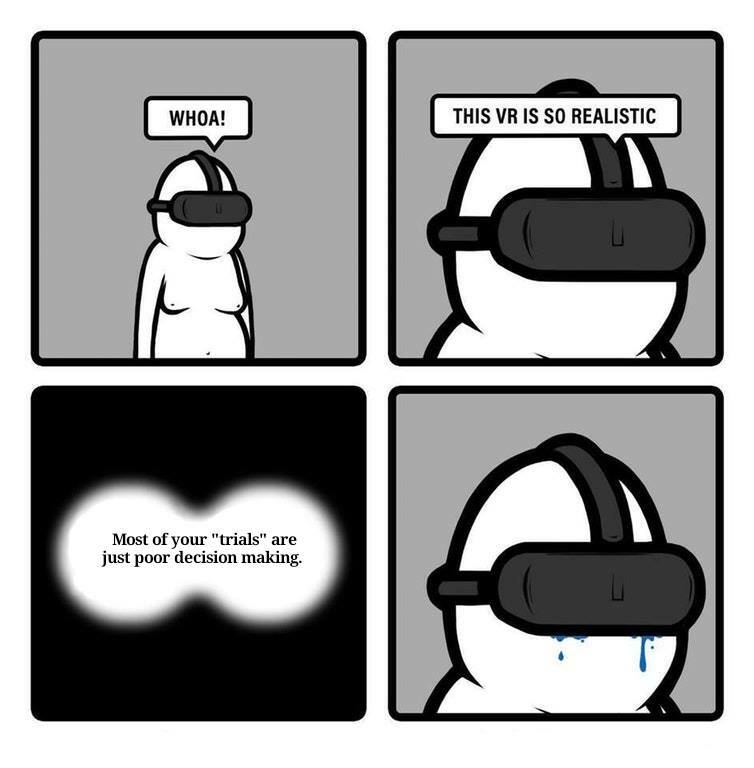 “Flesh” is a negative term. For Paul as a Jew the created order, the physical world, was good in itself. Only its wrong use, and its corruption and defacing, are bad. “Flesh” highlights that wrong use, that corruption and decay. Reposted from New Leaven. pp. 140-41, Romans 1-8, Paul for Everyone. In The Paulcast, Kurt Willems looks at issues pertaining to relevant scholarship, (radical) new perspectives on Paul, Jewish and Roman contexts for understanding his letters, important Pauline scholars and books, and Paul’s ongoing relevance for regular folks today. In addition, Kurt will occasionally interview important voices from a variety of perspectives who will help us wrestle with the major questions that come out of the study of the historical Paul. The ESV is perhaps the more natural contextual meaning. In the context, James is explaining to a hostile audience why Gentiles do not have to circumcise. This passage is about affirming Paul’s message to the Gentiles. Amos is quoted as precedence (v16-17) for this contentious development. James’ argument is that God has been planning this development for some time, as evidenced in Amos. The text can only dubiously be extended to this as affirmation that even God’s minor actions as been planned from long ago, and even more dubiously extended to mean that God has absolute omniscience over the future. The verse, after all, is about God’s own plans for His own actions. Let me attempt to clarify some points. First, words such as predestination, election, and salvation have more than one meaning. So when students ask me if I affirm predestination and I reply “yes” they are typically shocked. I then inform them I reject what they likely mean by the term—theological determinism. However, there are different understandings of the term though I may not want to use it due to how it is typically understood. In the OOG we distinguished between strong and weak understandings of immutability and claimed that the divine nature does not change but that God does have changing mental states (e.g strategies and emotions). At that time I don’t recall anyone distinguishing between different forms of impassibility. We took the term to have only one meaning, what has come to be known as strong impassibility—God is never affected by creatures in any respect. As the dialogue ensued we were asked whether God is ever overwhelmed by emotions as humans are apt to be such that God becomes incapacitated to act. We denied that this was the case. The distinction between strong and weak versions of impassibility arose in the literature and in discussions with Hasker, Rice, and Pinnock I decided to use both strong and weak immutability and strong and weak impassibility in the revised edition of GWR to distinguish between Classical Theism and Traditional Freewill Thesim (I placed Open Theism as a version of Freewill Theism). Our position had not changed from what we wrote in OOG. We simply became more precise about what we affirmed and rejected. We rejected strong impassibility and still do. This move was similar to the discussion about the “openness” of the future. People asked if we were saying that every aspect of the future was open and so we said no, some of the future may be closed. Getting more precise on these matters was acting responsibly. One is welcome to disagree with us about the meaning of the terms or the distinctions and suggest a more helpful way of understanding the issue. What I reject is the claim that “After much brow-beating, Sanders is now conceding qualified impassibility” My use of weak impassibility was in conference papers around 2002 and in GWR by 2006 so it had nothing to do with Tom Belt’s reasoning. I’m not in agreement with Belt on this issue by the way. But the point is that my motivation for making this distinction long preceded any conversations on Facebook. 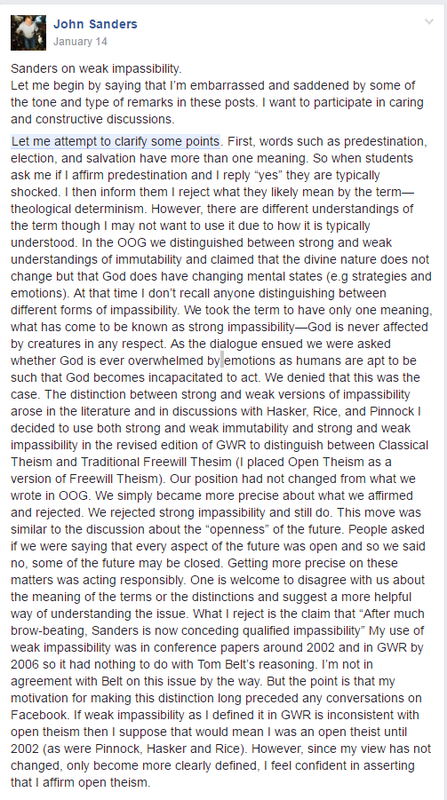 If weak impassibility as I defined it in GWR is inconsistent with open theism then I suppose that would mean I was an open theist until 2002 (as were Pinnock, Hasker and Rice). However, since my view has not changed, only become more clearly defined, I feel confident in asserting that I affirm open theism. 1. He escalates a fight when you ask him to what verse he is turning. 2. He embeds his presuppositions in his questions and phrases them that if you reject Matt Slick you reject Jesus: “Do you agree with Jesus that Calvinism is true?” type questions. He gets mad when you don’t answer “yes” or “no”. 3. He asks questions that assume you gave entirely different answers to the very previous question than you actually did. 4. He refuses to understand your beliefs and his questions show that he is not even tracking with your answers. 5. He is condescending and tries to portray himself with the moral high ground. 6. He has double standards for how questions can be answered or how points can be made. 7. He tries to stop you from making a parallel to show how reasonable people can understand the same verse in a valid way. Arminius affirmed with Reformed theology a “meticulous providence” where God has sovereignty over evil such that no evil act is autonomous and uncircumscribed by God’s intent for good. God is sovereign in such a way that God concurs with the act itself and its effect has specific meaning and significance. This is a critical difference between classic Arminianism and open theism. Whereas Arminius asserted an understanding of concurrence that entails meticulous providence, open theism does not.